I finally have my clips on the site! You can view all of them on the Clips page, but the Drama one is below. There’s also an Action/Thriller clip and a Industrial/Comedy clip. Fun stuff! 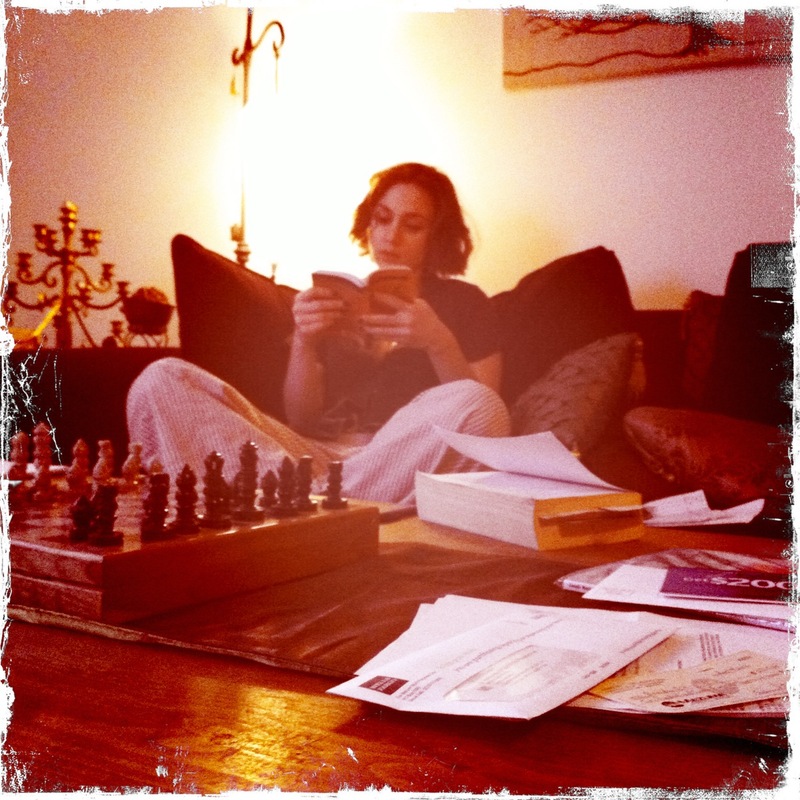 This weekend I worked on To Kristen With Love with the Seraph Films group. 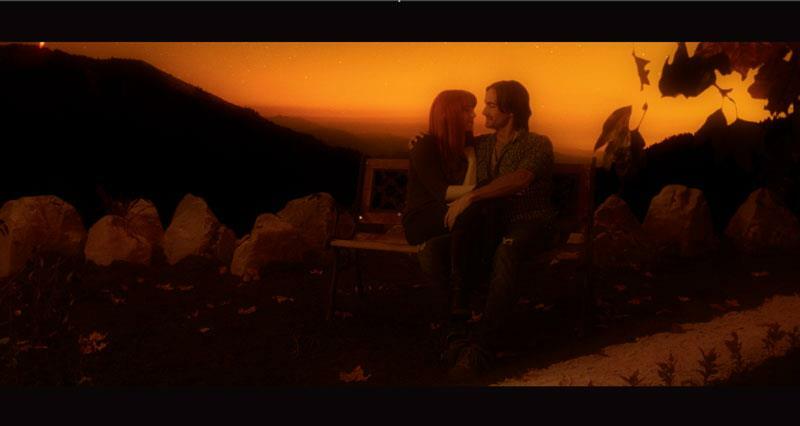 I can’t take credit for the picture below; it’s a still from the footage. My pics from set didn’t come out as good as I was hoping they would, unfortunately, but you can find them on the Tanya Gorlow Facebook page. This project is a particularly personal one for our director and leader, Gene. There’s a lot of talent both in front of and behind the camera and the footage that I saw on set was amazing. Just last month we debuted The House, a creepy short film produced by Seraph Films as part of their Monthly Shorts series. You can watch the short here on YouTube: http://youtu.be/2EX1ITx8vs4. It’s a lot of fun, but a little scary, so watch out! A huge thanks to Gene Blalock, James Tumminia, Andria Chamberlin, and the rest of the awesome, awesome cast and crew, who all helped to make this really cool film. MAAN, Stuff Is Shaping Up! 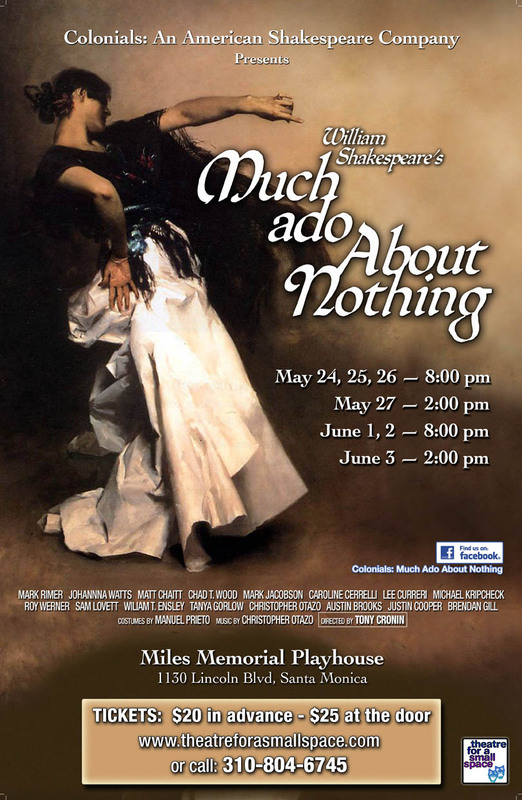 We’re only 6 days away from opening weekend for Much Ado About Nothing in Santa Monica and everything looks great! Costume fittings are tomorrow and we get into the space Monday night. In the meantime, there has been some serious acting going on. 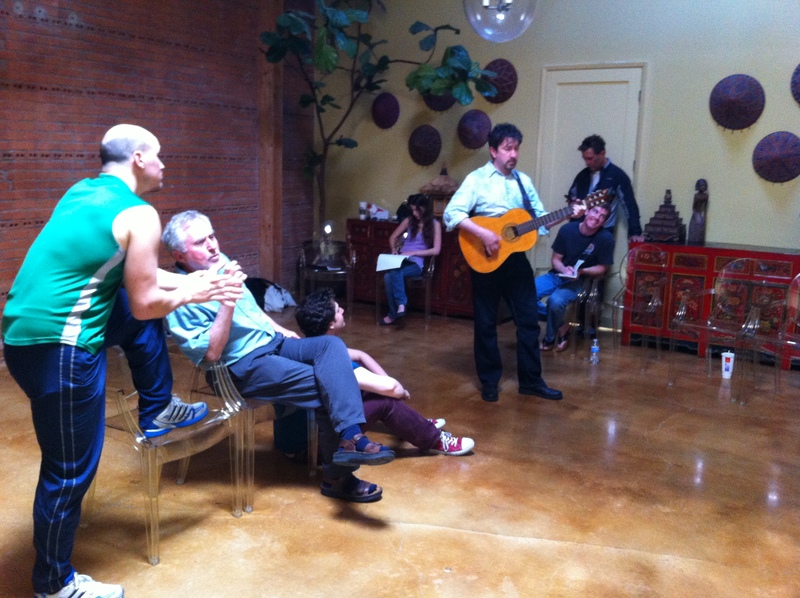 Below, you can see Don Pedro (Chad Wood), Leonato (Matt Chait), Claudio (Mark Jacobson), and Balthazar (Christopher Otazo) during a rehearsal. You can see our snazzy poster below, but in case the type is too small we’ll be performing at the Miles Memorial Playhouse May 24, 25, 26 and June 1, 2 at 8 PM with Sunday matinees May 27 and June 3 at 2 PM. Hope to see you there! This weekend, the Personal Finances team went to Las Vegas for a bit of fun. 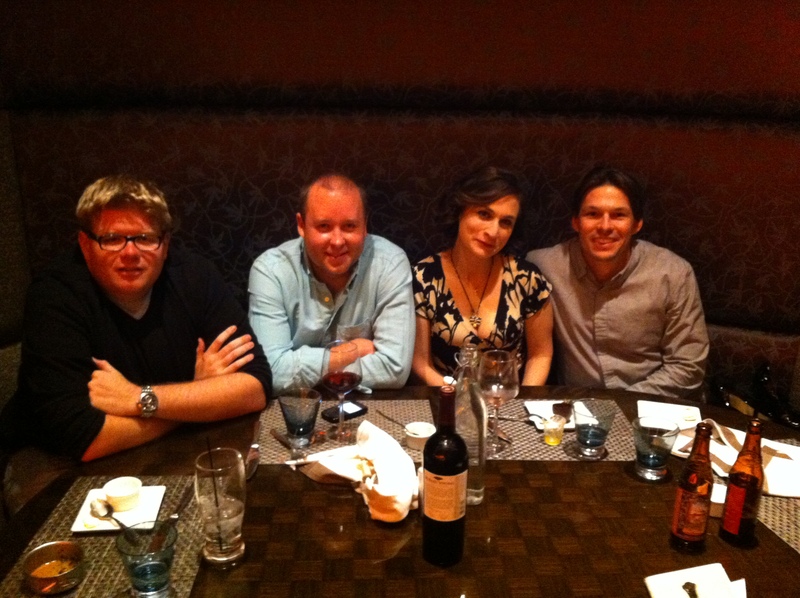 Here we are with Ryan’s good friend shortly after stuffing ourselves silly. There was, of course, plenty of discussion regarding preproduction on the drive up, but there were also plenty of shenanigans. Fortunately and unfortunately, the camera stayed safely stowed for those. More updates as the production develops. Okay, you talked me into it. 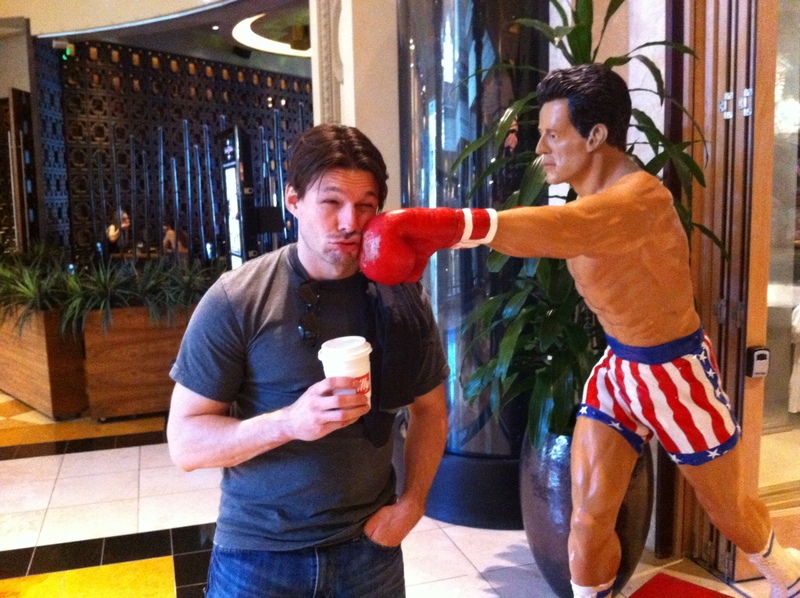 Here’s one picture of Brendan getting punched after he spilled coffee on this guy’s shorts. This weekend, I had to learn my lines for Much Ado About Nothing. We’re going up at the Miles Memorial Playhouse at Lincoln and Wilshire in Santa Monica the last weekend in May and closing the first weekend in June. I’m playing Margaret this time around, after having the great pleasure of playing Claudio in an all female production and Beatrice in a Shakespeare in the park version. This Margaret is going to be very bawdy, so you won’t want to miss it. I’ll post some rehearsal pics and add performance times in a bit. It’s finally here! The new tanyagorlow.com website has launched (welcome!) and there are a couple people who need thanks. Omid Mousaei at Mad Mind Studios was the creative force and genius behind the design and implementation. His hard work and flexibility are admirable. Jack Waterlot took the gorgeous photos that helped guide the look and feel of the site. Shooting with him was an incredible pleasure and I feel so blessed to have had the opportunity. Dana Patrick was the brilliant photographer who took my headshots, which are propelling me into casting offices at an almost alarming rate. She’s also incredibly charming to boot. Thank you all you awesome artists for all of your contributions to the site!